There was a time when we would have referred to our automotive team or activities. Advances in technology and economic systems, like the emergent sharing economy and smart, integrated transport systems, is transforming our concept of getting from A to B. A car may still be a mode of transport today. GIve it a decade and assume autonomous vehicles emerge as a reality, what are they then? Are these future mobile pods cars? Entertainment zones? And extension of your office? A social experience? The bottom line is, although driveless cars is still some way over the horizon, the vision and promise is already here, and it's disrupting how brands communicate and engage. The industry and consumer psyche is already being transformed. There are burgeoning new markets (especially in the East). Indeed, China may well mandate electrification and car sharing in her cities, to deal with severe environmental challenges, and urban congestion. New regulations are driving new products with eco-conscious credentials. There's new entrants from Asia and The Valley expected, both with a focus on luxury and eDrive technology. There will be new business models. And the most disruptive trend of all, a new mindset. New retail formats see boutiques pop-up in luxury malls, blended with online experiences. Could electric become a club or subscription model - sold as an eco-lifestyle with electric bikes and bicycles and who knows, maybe home management systems with eco-credentials? How long before Apple is offering car-sharing with quick-pay, bundled insurance and your favourite playlist and address book synchronised for instant voice dialling and sat-nav and the car's systems optimised to your driving preferences? Not too mention, probably monitoring your driver behaviour. There's other disruptive forces, like mass-urbanisation, forcing a re-evaluation of car ownership. Include an aging population deciding whether to trade-up or down… so, small goes luxury. And the back seat gets make-over in Asian markets, where the affluent can afford private drivers. There's winning over Millennials and Gen Z – who are part individualist and part-identity defined by tribe – humanist and inclusive. Robo-taxis. Uber. AirBnB. Say hello to the sharing economy that could soon be taking more market share from the incumbent automotive brands. Does the consumer go all electric or hybrid? Stay petrol-head for a few more years or risk being irrelevant in the rush to electrification? 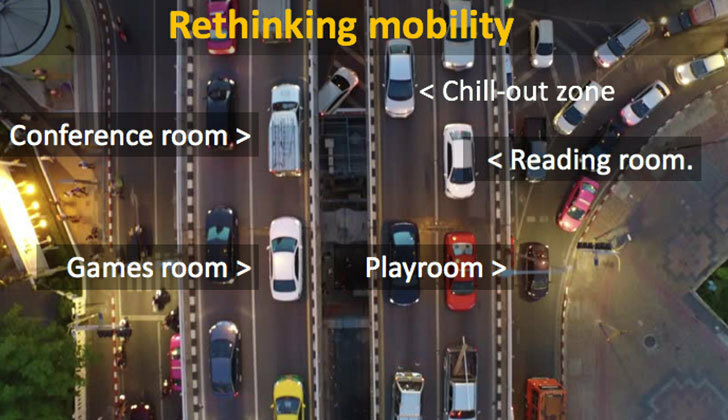 Is mobility about freedom, success and individualism or personal mobility solutions and connected services, or belonging to an eco-conscious tribe? Is it about drive or ride? Journey or connectivity… or productivity, creativity, relaxation? Branding, marketing and customer engagement is up for re-invention. It's a huge amount of change for brands in the mobility space. Against this backdrop we’re working with major car brands to redefine the customer journey – creating a new narrative – for an intrigued and expectant public. Because, how much longer will there be a dealer network, as we know it today? Or, will car festivals and gala events with multiple marques show-cased, prevail. Our work with new-gen dealer events, press launches, exhibitions and road shows (akin to developer events for the growing community of partners that will add value to the automotive ecosystem) is helping brands define and curate their role as a mobility provider.